Students in Malaysia planning to study engineering should understand what it means to become a professional engineer and the pathway. Applicant who applies for registration as a Professional Engineer must be a registered Graduate Engineer with BEM. The applicant must select and satisfy one of the following Route to become a Professional Engineer. Route 1 and 2 shall be done from the date of approval as Graduate Engineer with BEM. A Professional Engineer from an overseas Regulatory Body must first register as a Graduate Engineer to ensure that his/her basic degree is “engineering” irrespective of his professional status. Once he/she is registered as a Graduate Engineer with BEM, he/she then shall follow Route 3 of the following Route to become a Professional Engineer. at least one year of the above training must be obtained in Malaysia under the supervision of a Professional Engineer in the same branch of engineering as that practised by the Graduate Engineer. The applicant need not sit and passed the Professional Assessment Examination or be corporate member of IEM. Applicant shall submit to BEM a certified latest Professional Engineer Certificate issued by a Regulatory Body of other country. The professional engineers status shall be check that it is equivalent to BEM’s professional engineer qualifications eligibility. the date he becomes a corporate member of the Institution of Engineers (Malaysia). 2. If an application period has lapsed, a Graduate Engineer may, within a reasonable time, apply for an extension of time to submit an application for registration as a Professional Engineer to the Board and the Board may extent the time as it thinks fit. The registration with Board Engineers Malaysia (BEM) is mandatory as BEM is the regulatory body whereas registration with the Institution of Engineers, Malaysia (IEM) is optional. You are encourage to register with IEM (is a learned society) to keep abreast with latest info on engineering. Registration with IEM can only be done after your registration with BEM has been approved. Engineers Malaysia (BEM). BEM recognises the experience gained by an engineering graduate only after he has registered as a Graduate Engineer. It is paramount important that all engineering graduate register with the Board of Engineers Malaysia immediately after graduation or before they work as engineers. By sitting for their PAE (Professional Assessment Examination). In order to be able to sit for their PAE you MUST have a minimum of 3 years of working experience. Your 3 years of working experience ONLY STARTS counting after you have registered with the BEM. Eg. In the year 2016 you have been effectively working for 10 years but you have registered with the BEM only in 2015. That means you only have 1 year of working experience in their clock. Therefore, all fresh graduates please register with the BEM ASAP after your graduation. It is supposed to be illegal for you to work in the capacity of an engineer without a registration with the BEM. required to be fulfilled by a Graduate Engineer so as to be entitled to apply for registration as a Professional Engineer in future. You must also complete not less than 30 units (60 hours) of Professional Development Program (PDP) programme by attending technical talks, seminars, society meetings or community services. Professional Assessment Exam: Having completed/satisfied all the above, you may then apply to sit for Professional Assessment Examination owned by BEM now conducted by IEM on behalf of BEM. Be registered as a Graduate Engineer with Board of Engineers Malaysia (BEM). Have satisfied the training requirements of Board of Engineers Malaysia (BEM). Have passed the Professional Assessment Examination (PAE) of BEM or be elected as a Corporate Member of the Institution of Engineers Malaysia (IEM). entitled to sit for the Professional Assessment Examination (PAE) which is a prerequisite to apply for registration as a Professional Engineer. prospective Professional Engineers to be familiar with the local conditions and by – laws so that they can comply and practise effectively in Malaysia. Notwithstanding the above, regulation 22(2) stipulates that if the Board is satisfied for sufficient cause or reason, the Board may in any particular case exempt either wholly or partly the requirements as to the practical experience required to be obtained in Malaysia or the requirement as to the supervision by a registered Professional Engineer in Malaysia; provided that the total practical experience to be obtained shall not be less than three years. Where there is no Professional Engineer of the same or allied discipline as the candidate in the organisation in which the candidate is working, he may seek the approval from BEM to obtain a Professional Engineer from outside his organisation to supervise his training. After the candidate has completed the required prescribed training, he may apply to sit for the Professional Assessment Examination conducted by BEM. Engineering research or the teaching of engineering. At least 3 years before eligible to apply for Corporate Membership of the Institution of Engineers, Malaysia (IEM) and subsequent Professional Engineer registration with theBoard of Engineers Malaysia (BEM). In order to be able to sit for the PI, applicants SHOULD have at least a minimum of 3 years of working experience. It will be virtually impossible to pass the PI if you have less than 3 years of working experience since you will most probably have insufficient materials to be put in your report. the Institution of Engineers, Malaysia (IEM) is concerned. Once you have sat and passed the PI, you are entitled to use the title Engr. (Same title as the graduate engineer) (Eg. Engr. Dr. Jason Tan B.Eng(Hons), Phd (Mech), M.I.E.M) Once you have your Engr. (M.I.E.M) you can then proceed to top up with the Ir (P.Eng) from Board of Engineers Malaysia (BEM). If you have not registered with the Board of Engineers Malaysia (BEM), go register with them and wait three years before getting your P.Eng. You must also complete the 60 hours of BEM mandatory courses known as the PDP. If you have registered with theBoard of Engineers Malaysia (BEM) and have three years of woking experience according to their clock, you can get your P.Eng. immediately. You must also complete the 60 hours of BEM mandatory courses known as the PDP. For applicant who are above 30 years old and have had not less than eight (8) years experience and holding a senior position, kindly proceed to apply for the grade of Companion. (c) he is required to submit his curriculum vitae/biodata and report of working experience or exposure to engineering. What is the Institution of Engineers, Malaysia (IEM)? member of the Commonwealth Engineers Council in 1962. The Institution is a qualifying body for professional engineers in Malaysia. The Corporate member of the Institution can apply to the Board of Engineers, Malaysia (which is a registration body) for registration as a Professional Engineer, which will entitle him to set up practice. The qualification standards are determined by the Council of the Institution. The Institution is one of the few professional engineering institutions in the world, which represents all disciplines of the profession, and is thus able to take a broad view of the professional scene. BEM (Board of Engineers, Malaysia) is different from IEM. BEM is a government body that regulates the registration of engineers in Malaysia while IEM is a professional Body or Learned Society for engineers. If you have to approve or/and submit layouts/designs to the approving authortity, P.Eng is mandatory. But if you are working in the manufacturing sector for instance, you can opt just for the M.I.E.M. Getting either/both the P.Eng or the M.I.E.M is a great personal satisfaction if you ask me and they look absolutely fabulous on your resume. Once you get your P.Eng from BEM, you will have to renew your “license” every year in order to be able to continue to use the title Ir. Before you can renew your license, you must complete 40 hours (I may be wrong) of CPD (Continuous Professional Development) . Can I still find work with a 3-year engineering degree? Yes, you can still work as an engineer with a 3-year engineering degree. All UK degrees are 3 years in duration and therefore not accredited by BEM. If you want to become a professional engineer, then you just need to go for the M.Eng. Generally, becoming a professional engineer is important for Civil Engineers as they need to sign and seal blueprints for the buildings. Other engineering fields do not need to do this so it is up to each individual’s career goals whether to pursue becoming a professional engineer status or not. licensed as an Ir or P.Eng. What is the Engineering Accreditation Council in Malaysia? engineers attains the minimum standard comparable to global practice. Hence the necessity to accredit engineering programmes conducted in the public & private universities and colleges in Malaysia. The Engineering Accreditation Council (EAC) is the body appointed by Board of Engineers Malaysia for accreditation of engineering degrees in Malaysia. engineering degree programmes accredited by the responsible bodies in each of the signatory countries. This means that students who study in universities with engineering degrees that are accredited by MQA and Board of Engineers Malaysia (BEM) such as Curtin University Sarawak, UCSI University and Asia Pacific University may find work in other countries that have signed the Washington Accord. Engineering Accreditation Council (EAC) accreditation is to ensure that graduates of the accredited engineering programmes satisfy the minimum academic requirements for registration as a graduate engineer with the Board of Engineers Malaysia (BEM) and for admission to graduate membership of IEM. Why the Engineering Accreditation Council (EAC) Accreditation is important? Accreditation helps students and their parents to choose quality college programmes. evaluate, and improve the quality of their programs. 3. Is it true that BEM do not recognize three (3) year degree programmes and only four (4) year programmes are recognized? All institutions of higher learning in Malaysia have been informed since 2000 that no engineering programmes with 3 years duration of study would be acceptable for BEM’s recognition or accreditation. Only a four year (or more) programme is accredited by the Engineering Accreditation Council (EAC). The Board of Engineers Malaysia (BEM) however provides a pathway for unrecognized engineering degree holders, but they would only be considered upon completing a top up Master programmes (taught mode) in related engineering discipline, on a case to case basis. It must be noted that the 3 year programme will still remain as unrecognized despite the holder having achieved the Master degree. 4. What is the requirement to register with BEM as Graduate Engineer and how can I apply? accredited degree by the BEM. The list of accredited degree for local IHL is provided in the EAC and BEM website. Please visit the www.eac.org.my and www.bem.org.my. You can make an application to register as Graduate Engineer by filling up the Borang A at the BEM website. The procedures for the application is stated in the Borang A. 5. Does Board of Engineers Malaysia recognize degrees obtained via online? Presently, the BEM does not recognized nor accredit any distance learning programme. 6. If a person has recently graduated with (2+2)/ 3+0 twinning programme BEng (Hons) and also a 1 year Master in engineering (coursework) from the same local Malaysian college, will he be allowed to register with BEM? Provided the twinning programme fulfils the residential requirement in the UK (2 years) and the degree is recognised by ECUK as partially fulfilling the Chartered Engineers (CEng) requirement. Master by coursework in a related discipline is still required for registration. Note: EAC does not accredit twinning programmes. Only registration with the Board of Engineers Malaysia (BEM) requires graduates to have an accredited degree from EAC or recognised by EAC. For twinning programmes of UK, the residential requirement of 2 years in the UK is necessary. It must be an MEng 4 year programme accredited by ECUK. 7. If a student enrolled in any accredited programme, but later on during the programme the accreditation status is withdrawn, then what will be the status of the degree that the student has obtained? Accreditation with the Board of Engineers Malaysia (BEM) is voluntary. However, MQA requires all programmes in Malaysia to be accredited. If it happens that the programme is not accredited, there is not much recourse except the graduate may sue the University for not maintaining the standard to such an extent that accreditation is withdrawn. That is why it is the best that you look for universities with good track record. 8. What is Board of Engineers Malaysia (BEM)’s Policy on Recognition for Overseas Programme? If the country is a signatory member of the Washington Accord, Engineering Accreditation Council (EAC) will recognise the engineering programme based upon the recognition given by the accrediting body of that particular country. If the country is a provisional member of the Washington Accord,Engineering Accreditation Council (EAC) will recognise the engineering degree programme on a case by case basis based upon the recognition given by the accrediting body of that particular country. in Malaysia. EduSpiral Consultant Services also represents MDIS Singapore and Hong Kong Polytechnic University. So basically I am about to finish my 3-year BEng Aerospace Engineering here in UK, will I be able to get a job in most companies (private or government) ? I intend to study ‘Bachelor of Engineering in New Energy Science and Engineering’ 4 yrs at Xiamen University Malaysia but there’s a note at their brochure stated – the degree is not among the fields of engineering in the register of the Board of Engineers Malaysia. Can I still work as an engineer in Malaysia when graduated? What are the related jobs in this degree course in Malaysia. Thank you. You should ask Xiamen University staff about this. You already stated the answer, you cannot become a Professional Engineer in Malaysia. I have never heard of such a degree. If you are interested only in this course because of the attractive scholarships then go ahead. 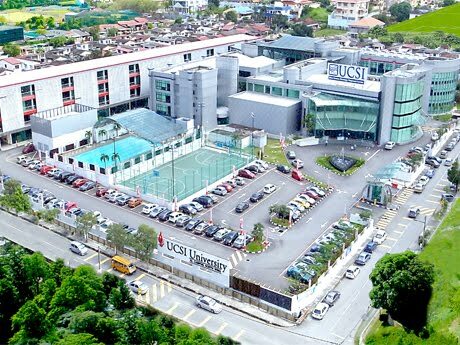 Which is the best university to pursue in computer engineering that is accredited in Malaysia ? I’m currently pursuing computer engineering which is 4 years course. But it is still not accredited by BEM. I can still work as an engineer? The established companies will still accept me right? If im doing a 3 year program in chemical engineering, will i still be able to find a job in malaysia? Will big companies accept my degree? May I know BEM recognized 3year program for civil engineering offered by local and UK? There is no such thing as a BEM recognised 3-year civil engineering course as BEM only accredits a 4-year engineering course. 1)May I know if 3year BEng in Civil engineering from university UK any problem to find the job here. A 3-year engineering degree is not accredited by BEM. You other question makes no sense.